Successfully Added Full HD Game Camera - 1080P Video, 1/3 Inch CMOS, 16 Month Standby, 0.6 Second Trigger Time, 2.5 Inch Display, IP56 to your Shopping Cart. This Hunting Camera allows you to discreetly observe elusive wildlife over many months, capturing them in full HD video without disturbing them from their natural habits. Now you can stalk your prey from a distance without spooking them. Get to learn what trails your game is using and scout out their behavior without investing hours hidden out inb the cold. A valuable addition for any wildlife photographer, hunter or gamekeeper this trail camera can be set up well before the season starts ensuring your in the know of all the best locations to observer ort hunt your quarry. Supporting micros SD cards up to 32GB in size means you can store a multitude of photos and video that can all be played back on the 2.5 inch screen so there's no need to carry extra viewing equipment or wait until you get back home to review your footage. With a 0.6 second trigger time this camera can snap of one two or three shots in close succession as soon as the game enters within its 20 meter detection range. powered by 4 or up to 8AA batteries the camera can sit in standby for up to 16 months while remaining protect from the elements thanks to its IP56 rating. 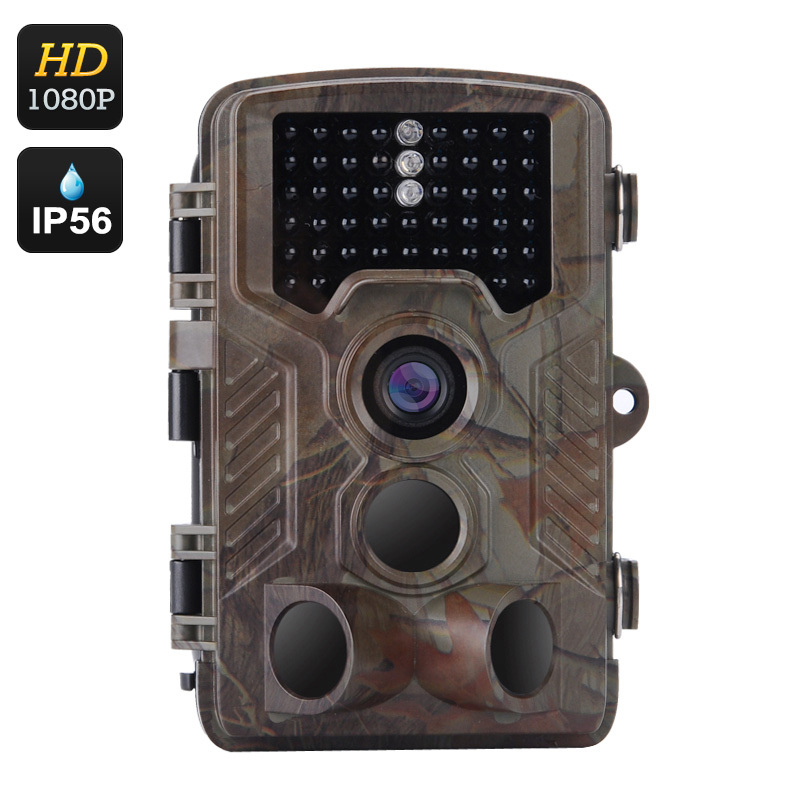 This 1080p Game Camera comes with a 12 months warranty, brought to you by the leader in electronic devices as well as wholesale hunting and game cameras and gadgets..